Summer holidays are nearly upon us and we have had great fun exploring places to stay in Italy. The appeal of the beautiful historical buildings and ancient culture teamed with first class cuisine is a sure winner and one that ensures a memorable family holiday. 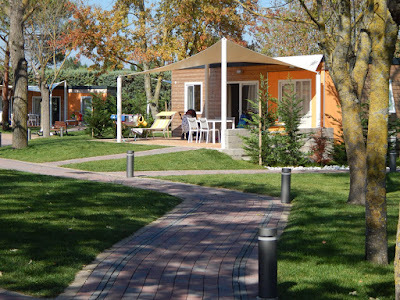 The Pra’ delle Torri Holiday Village was awarded the Trip Advisor Travellers Choice in 2017 and is certainly well placed to be in the top 15 places to stay in Italy, gaining 5 stars from ANWB and ADAC and ranked 1st in the places to stay in Caorle, according to the people who have stayed which is an amazing achievement. 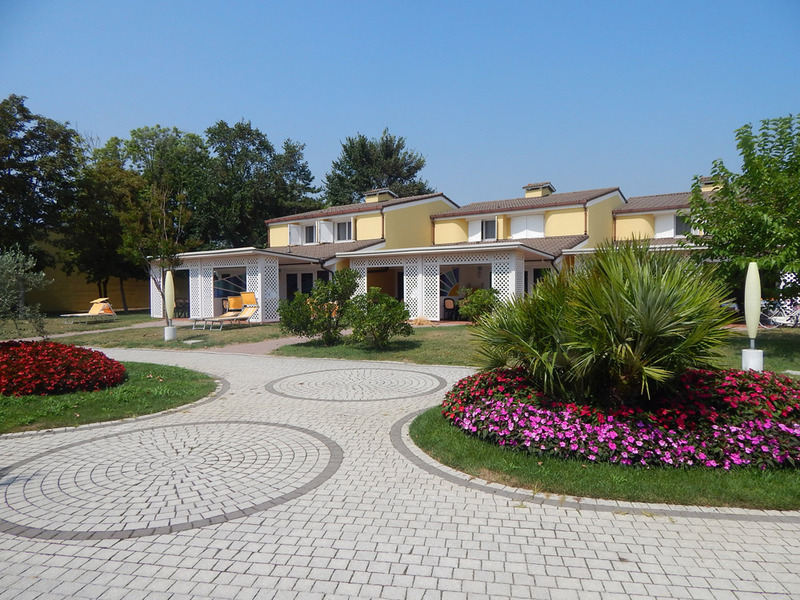 Situated in the coastal town of Caorle in the province of Venice, the Adriatic Sea and a kilometre of gently sloping golden sand, shallow waters which are patrolled by lifeguards, sunbeds and umbrellas and a wide expanse of lush flora and nature are on your doorstep. It is no wonder that the Pra’ delle Torri Holiday Village is a fabulous base to enjoy an adventurous and entertaining outdoor holiday. One of the key places to visit in Caorle is the Santuario della Madonna dell'Angelo, a small church surrounded by the sea on three sides and home to some fabulous artwork. Or why not head for the mountains and experience some of the best views in the region. Not only do you have the beach, on the seafront is an extensive Water Park equipped with water slides, Olympic size swimming pool and plenty of games to keep the children happy. I think Gee would love the massive galleon and it would be so nice to relax whilst she joined in with the fun and games. There is also an Activity Park with its own Skate Park, chill out room and audio area for children who like to listen and make music. For smaller children, there is the Fantasy World which is home to inflatable rides, a mini-cart track, amusements and equipped play area. At night children can let their hair down and join in with the mini disco, experience games, parades and other activities offered by the qualified entertainment staff. For the sports enthusiast, there is a Golf course, with fees payable, tennis courts, football fields, mini-golf, basketball and badminton to name a few. All available for your enjoyment and fun. My favourite part is the Water sports, no holiday is complete without experiencing the Banana Boat or having a go at Wind Surfing. In fact, there are so many varied activities available you will probably be spoiled for choice. What better way to explore Caorle and the surrounding area than to hire a bike and take in the sights of the Caorle and Venice Lagoon, stop off and enjoy the fine Italian cuisine and sit and admire the flora and fauna. 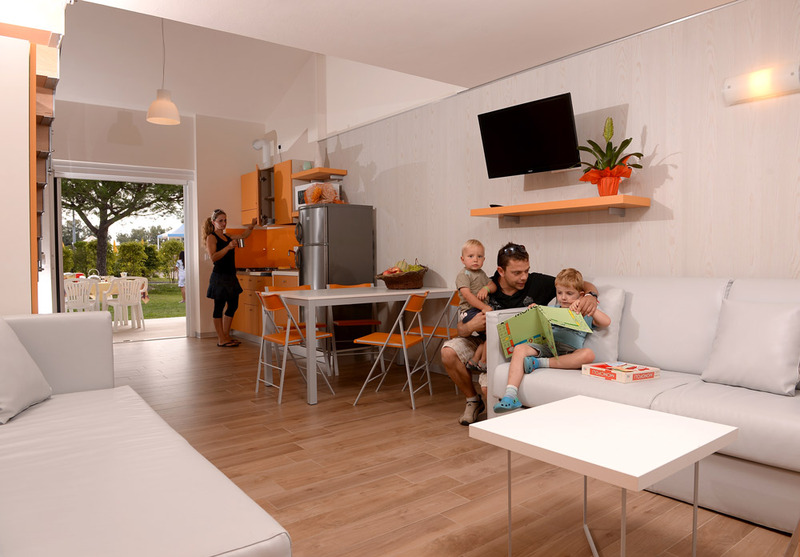 The Pra’ delle Torri Holiday Village takes pride in its environment as you will see from the beautiful gardens. They are also environmentally aware and charging points are available for electric cars. 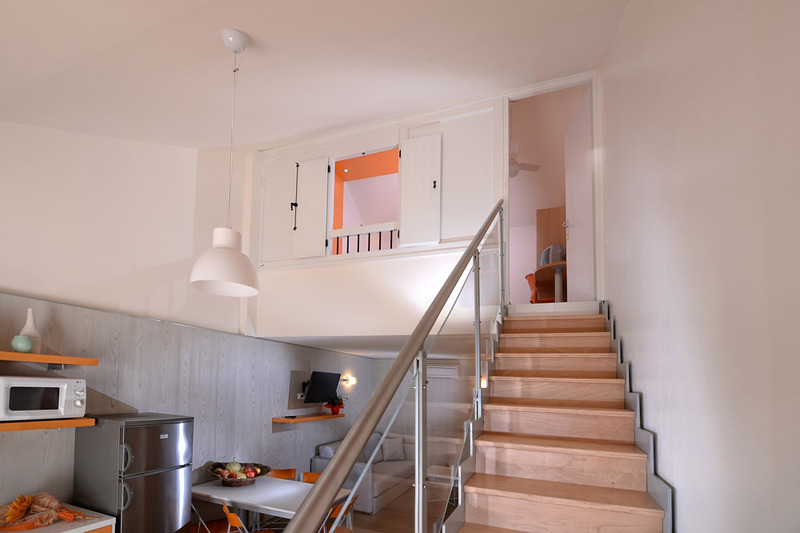 Accommodation comes in a variety of options from the recently renovated hotel with en-suite rooms to the more relaxed Apart Hotel terraced houses which come complete with their own kitchen area, useful if you like to prepare your own food. If you like more freedom then the different standard bungalows may be for you, all of which are equipped to a high standard. Camping facilities are also available with washroom units containing showers, toilets, children’s area and washing facilities for crockery. Disabled facilities are also available. Featuring 5 restaurants, you can enjoy a wide variety of food from snacks to modern cuisine, in fact there is bound to be something to suit individual tastes and of course sample some of the finest wine. On site, there is also a shopping centre, pharmacy, supermarket and bazaar so if like me you arrive and realise you have not packed everything, you should easily be able to purchase things once you arrive.With its close proximity to Venice, the Pra’ delle Torri Holiday Village is the perfect base to relax, sight see, be entertained and experience the many historical and cultural jewels of the Veneto region. Learn more about Pra' delle Torri Holiday Centre here. You can also find more information on Facebook and Instagram. Wow I had no idea you could ever stay somewhere like this in Venice it looks like a great place for a family friendly stay! That looks amazing! I didn't realise there was such nice beaches close to Venice. I want to go to Italy again as it's beautiful and the food is irresistible. Oh wow that looks amazing! We are desperate to go to Venice and it's great to know that it's family friendly! Perhaps next year! I've just returned from Sardinia and caught the travel bug big time, this place looks like another one to add to my list! ooo this looks like an amazing place to visit! we will have to add this one to the bucket list! I like that there is plenty of space and also a kitchen area so you can keep the cost of the holiday to a minimum. I would love to visit Italy as that is where my dad's family cam from over 100 years ago. I love the idea of Venice and want a gondola trip! This looks fantastic! I love that within the same resort there are so many different accommodation options so there will be something to suit everyone.